I hold my private practice on weekday afternoons, evenings and some Saturday mornings in Balham. Some weekday morning appointments may be possible. I am able to offer counselling/psychotherapy sessions for individuals, couples and families and I also provide counselling supervision for counsellors and psychotherapists in training or qualified within private and organisational settings. Integrative and Relational grounded in Humanistic, Existential, Systemic and Psychodynamic thinking alongside Cognitive Behavioural Therapy and Life Coaching. In other words, I integrate and blend appropriate therapeutic approaches and considerations according to your needs, expectations and goals. I prefer to avoid theoretical dogma and work with what you bring to therapy. We can explore your current and if you so wish your past experience. Perhaps we will make some sense of how your history impacts on the present, what systems are active in your world and find meaning and understanding in your life today. Talking therapy can be about finding what is difficult for you to talk about. I have workplace experience and training in the use of ‘hypnotherapeutic’ tools. If appropriate we could include this therapeutic technique in our work together and this would involve grounding and relaxation excercises alongside guided and/or creative visualisation. My clinical practice also includes blending-in or working exclusively with a Cognitive Behavioural Therapeutic (CBT) approach and Trauma Incident Reduction (TIR) techniques and tools as required. I am a qualified counselling/consultancy supervisor (2005) and I am able to offer Humanistic, Psychodynamic, Integrative and Existential clinical supervision alongside consultancy supervision. I have considerable experience of supervising in private practice, charity and private organisational settings qualified and in-training counsellors and psychotherapists, healthcare professionals, crisis and trauma management volunteers and staff working with adults and adolescents, domestic violence advocates, addiction therapists/workers and NHS counsellors/psychotherapists working within an agency setting. For three years I worked as a visiting lecturer/tutor in counselling at introductory, intermediate and diploma level and I have considerable experience in group facilitation. I am able to offer facilitation of experiential groups such as ‘team-building’ and provide a wide variety of counselling training and workshops. 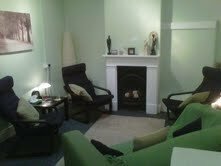 I currently facilitate two counselling/psychotherapy reading/study groups. You may not see your current concern on this list and if this is the case we can always discuss what you’re looking for.